It’s here! Volume 2 of At Hell’s Gates! Featuring authors like Mark Tufo, Paul Mannering, Shana Festa, and yours truly! Yes, every darkness has a source, every monster has a birthplace, and every evil has an origin. In the second volume of the #1 Bestselling AT HELL’S GATES series, twenty-three of the finest dark fiction authors working today will force you to witness the ORIGINS OF EVIL. Each unique tale of terror traces an unspeakable horror back to its very beginning. All proceeds from this horror anthology series go to the Intrepid Fallen Heroes Fund, a charity benefiting military veterans suffering from Post-Traumatic Stress Disorder and Traumatic Brain Injury. The authors and editors of this series are pleased to donate their time and effort to a truly worthy cause. So sit back, relax, support a fine charity, and enjoy twenty-three tales of dawning calamity from some of horror fiction’s leading lights. By getting the book, you are also supporting people who are in need. 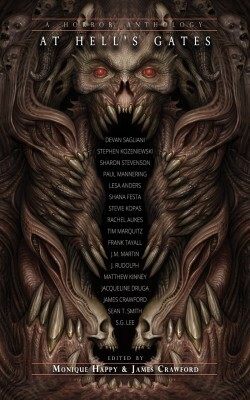 I was invited to take part in an anthology that I am quite proud of. 17 horror authors were included in the release of At Hells Gate which includes an all new, never before seen, look into the Cali Journals. If you were ever curious as to what Cali was thinking on her trek to Idaho you don’t want to miss this! The Cali Journals were introduced in the July 2013 release of The Writer’s Stuff, an anthology of mixed genre authors that I am proud to call friends. So if you are dying to get your hands on more Cali stuff, you won’t want to miss either anthology! After you read these, please don’t hesitate in leaving a review! All authors in both books would love hearing from you! I have a huge announcement. 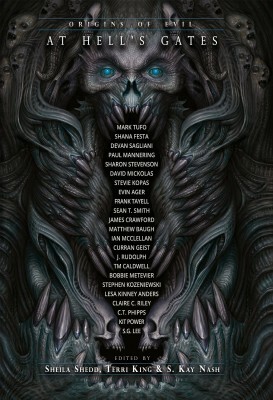 As of September 30th, The Reanimates has been picked up by Winlock Press, an imprint of Permuted Press! That’s right, one of the most popular publishers of horror and apocalyptic fiction has acquired the rights to Cali’s and Hadley’s stories! While the series gets its facelift and edits the books will be unavailable on Amazon, but when it returns, we will be having a huge release party! 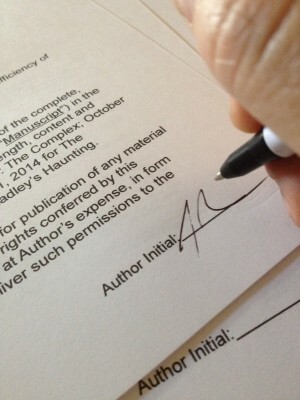 Hadley’s Haunting will likely be re-released later this year and will appear in print format for the first time ever! In other news, I have reached the 1/3 point of an all new apocalyptic story that has yet to be titled. This story about the end of the world as we know it will definitely make you look at a common practice of many people in a whole new light! Also in the works is another young adult paranormal story that deals with the hard subject of suicide. So with all of the big things coming up, please stay tuned! Welcome to JRudolph.com! Lovely to have you! My name is J. Rudolph, and I am the author of The Reanimates series and the young adult paranormal mystery, Hadley’s Haunting. I am published through Winlock Press, an imprint of Permuted Press. Available now is The Complex and The Highway! Please follow the links for a blurb and excerpt from the books. Keep checking back for more information about future releases or join the mailing list here. You can join the J. Rudolph Facebook page and keep up to date with the latest information on books by J. Rudolph! I would like to invite everyone to visit ScaredTurtle.com for information on events with J. Rudolph, book updates, and links to other sites where J. Rudolph is on.